INFASHIONLOVE.COM: New Launch! 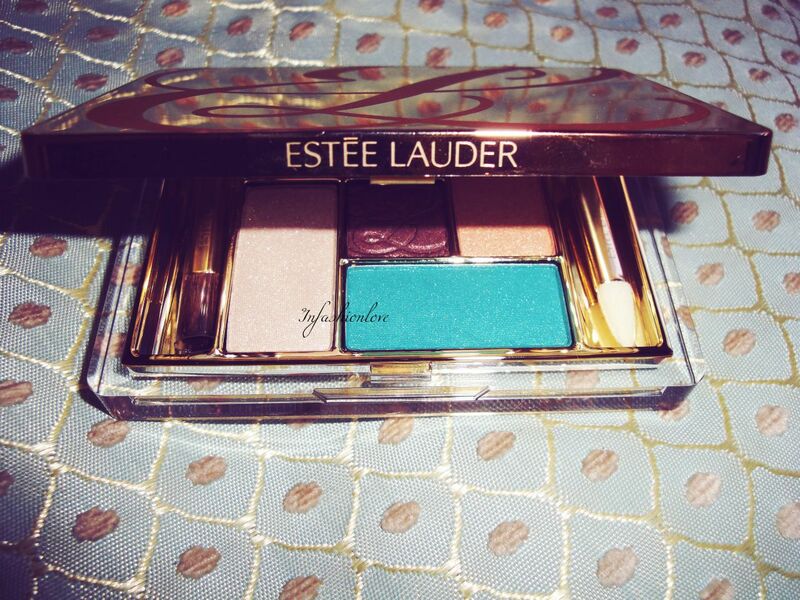 Estee Lauder Batik Sun Palette - Bronze Goddess 2013! New Launch! 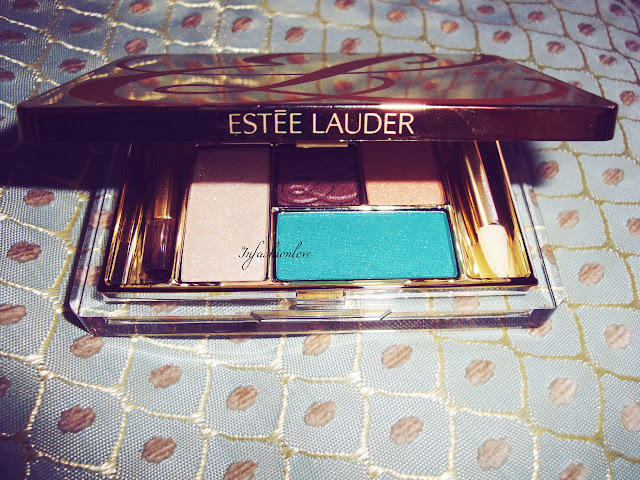 Estee Lauder Batik Sun Palette - Bronze Goddess 2013! Hey beauties, for anyone who is Russian, Ukrainian or anyone else celebrating the 1st of May hope you had a lovely day! 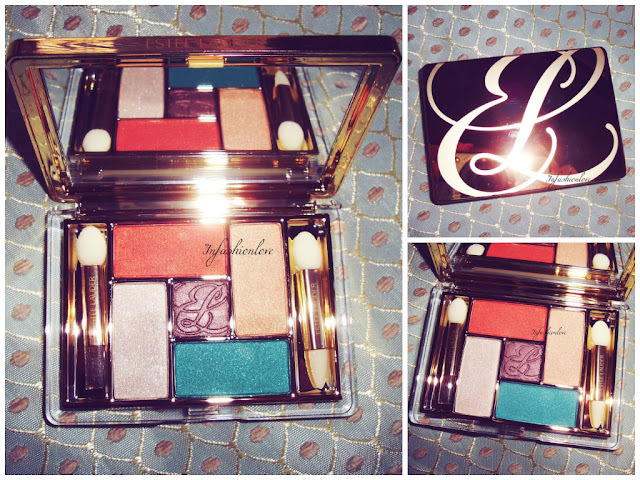 I'm super excited to share this stunning Estee Lauder Batik Sun palette with you... 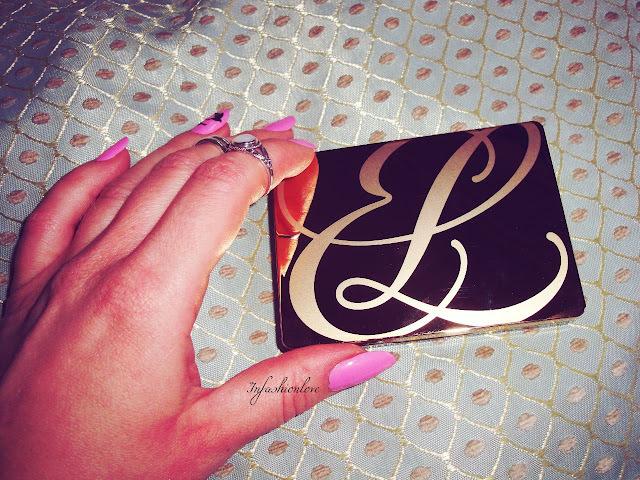 This palette is absolutely gorj. First of all it's right on trend with that beautiful emerald green eyeshadow shade. 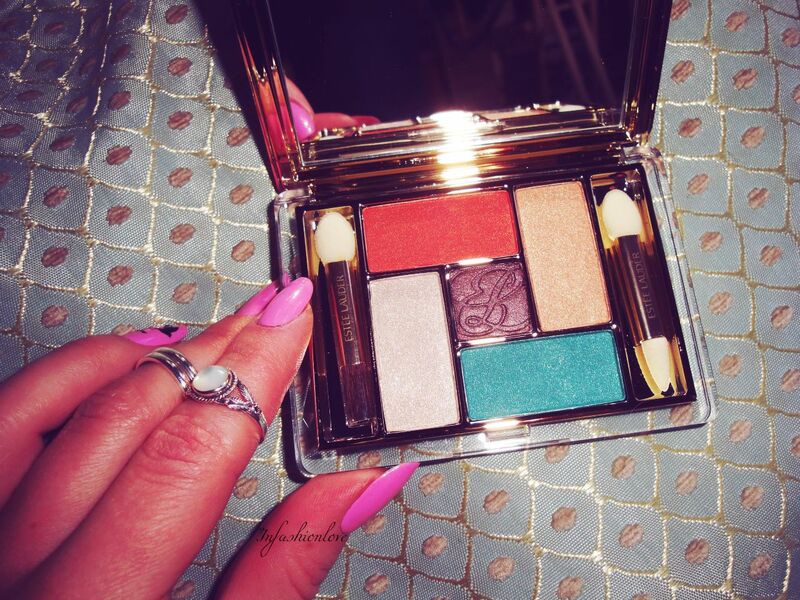 Batik Sun is from the Bronze Goddess 2013 Collection that launched today! 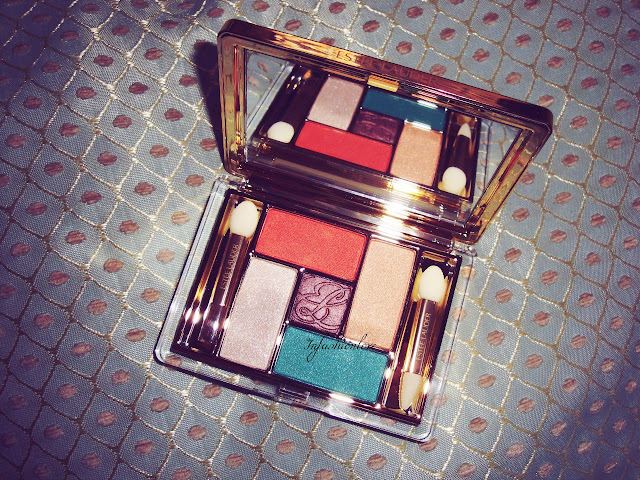 Batik Sun has five absolutely beautiful eyeshadow shades: the satin terracotta; metallic light gold; satin emerald green; sparkly champagne gold; and satin taupe. Every single shade is super flattering. I will create a separate look with the emerald green shade to show you how you can wear this on-trend shade, keeping it chic! 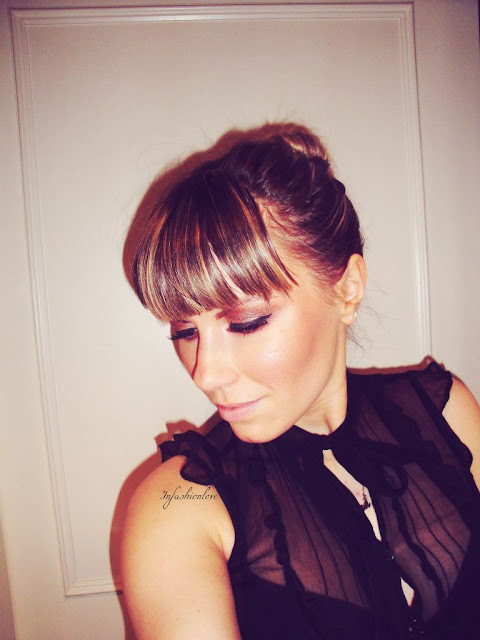 The look I'm wearing today is inspired by this Bronze Goddess collection, it just gives you that sunny glow you usually get when you return from a holiday, so this look is very flattering and beautifying. I used all four shades apart from the emerald green. Firstly I applied the gold shade all over, then I blended through the taupe in the crease and outer corner for extra dimension. Next to create that bronzy warmth I blended in the terracotta shade right over the edge of the taupe, taking it slightly higher then usually! And finally I used the lightest shade right under the brow to highlight the brow bone. Et Voilà! 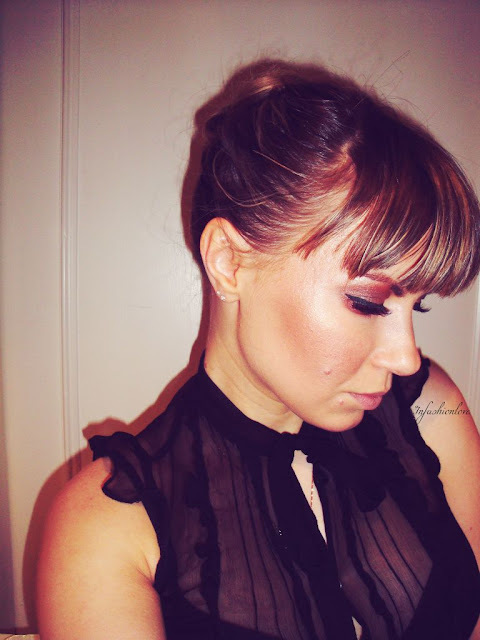 Many of my Instagram followers asked if I have a YouTube channel, which I don't, and said they'd love to see my beauty looks tutorials, so I started making mini tutorial vids on Vine, so check it out if you want to see how I created this chic bronze goddess look!